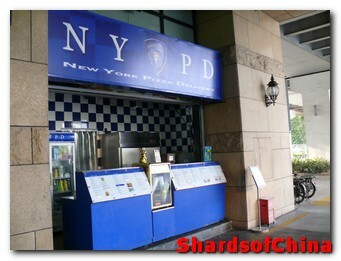 Xpats bar in Shenzhen – Home away from home? Every new expat is the same, they hit a new town and country and they want to embrace local culture whole-heartedly and then there comes a process of realization when they decide they need somewhere to go that reminds them, at least a little, of home. There is a big expat area in Shenzhen, it’s called Shekou but it is a long way from my home and taxis are mandatory for getting home and that’s an expense I don’t really need. In the rest of Shenzhen there’s very little in Luohu near my home, so my options narrow to heading over to Futian. 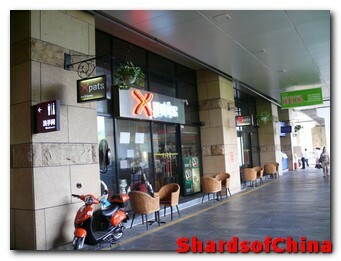 Xpats Bar is in Futian, in the Central Walk Shopping Centre, it's the best expat hang out in town. There are four expat hang outs over that way, but my favourite is Xpats. Despite what occasionally feels like a never ending cycle of American football on the screens (it’s that time of year sadly) it’s the best bar in Shenzhen. The staff are superb, and special mention has to go to Jack the long suffering bar tender who puts up with our teasing to deliver the best service in Shenzhen. Five star hotels don’t manage to get you a freezing cold pint with quite such panache. It’s one of the few environments where I see the staff’s English improve rapidly during the course of their stay too. In short they care where others don’t seem to. Now they’ve let an Englishman take over bar management there’s decent music pumping out every night and it feels like pubs used to back home. You can smoke inside, food is delivered from an excellent expat restaurant elsewhere in Coco Park so there’s plenty of choice to be had, and they never complain if you bring food from somewhere else too – well as long as you’re drinking and not expecting to get away with bringing in giant pizzas to share between 10 friends over a solitary half of lager (it happens) anyway. There’s a good happy hour, twice a day for two hours in fact, where everything is on a buy one get one free deal. They also offer a loyalty card program for significant discounts for regulars on booze – it works out at around 14 RMB a pint (that’s one pound forty pence in British money). NYPD Pizza is next door if you don't fancy anything off the menu, and as long as you're actually drinking you can eat it in Xpats (if you ask nicely). The owners are Aussies and they put an awful lot of face time into the place as well to ensure that home away from home feel as well. Best of all there’s a community feel to it, everyone knows everyone – you can get real conversation and enjoy the company of others in your situation. Why am I reviewing an expat bar today? Well it’s my birthday, so I’m off for a pint or thirty later on, so it seems appropriate. Normal service may be resumed tomorrow if I can shake off my hangover.